The principles and values of Community Psychology – in particular, collaboration – can serve as powerful driving forces behind improving the lives of members of diverse communities around the world, even those with brutal pasts. The ideological violence that swept the nation of Rwanda in 1994 resulted in extreme acts of brutality and great loss of life; however, the origins of the division between the Hutus and Tutsis had existed for decades prior to the outbreak of extreme violence. Reconciliation between the two groups is of dire importance, as failing to mitigate the division and discord between these two groups could result in negative attitudes being passed across generations and persistently threaten the stability of Rwanda. 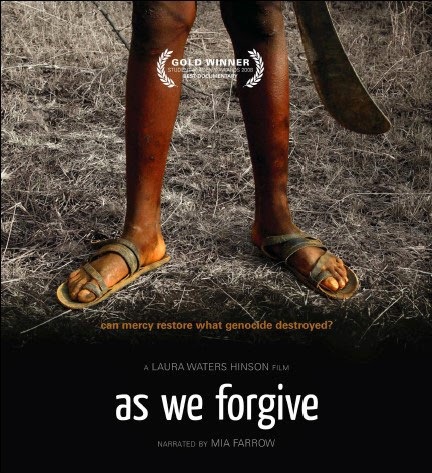 As may be expected, reconciliation between perpetrators and victims is an extremely difficult task, and one that is made even more difficult because there are strict laws that forbid any expressions that are deemed “genocide ideology,” thus potentially constraining open and honest dialogue. Despite the difficulty task and its challenges, reconciliation is critical in moving the country forward. Dr. Ezer Kang of Wheaton College was a visiting student intern in Kigali in August of 2012 when he met Christophe Mbonyingabo, executive director of CARSA. He observed the community reconciliation workshops firsthand, and was overwhelmed by the challenges faced in processing guilt for perpetrators and grief for victims. Discussion between Dr. Kang and Mr. Mbonyingabo also revealed concern about the potential for victims to continue to harbor animosity and prejudice toward their perpetrators that, due to the legal repercussions, could not be publicly acknowledged. In response to these concerns, Dr. Kang and Mr. Mbonyingabo engaged in a collaborative research effort to uncover the relationship between types of exposure to the genocide events in 1994 and implicit prejudice and negative stereotypes of perpetrators, and, if a significant relationship is found, if there is a difference based on gender or based on whether individuals participated in the community reconciliation workshops. Through a 1-year cross-sectional study of approximately 400 genocide survivors living in Rwanda, and with the help of funds from SCRA through the Community Mini-Grant program, this research partnership hopes to answer these questions that are important to the reconciliation process. Engagement with CARSA has been deeply meaningful to Dr. Kang. He has been able to witness academic principles be applied with great success in a community with exceedingly unique and difficult challenges. Such work can serve as an example of the power of Community Psychology to create change in diverse and challenging contexts. It is hoped that this work will contribute to efforts to ensure that the horrors of the past are not repeated.